A quiet holiday week at Design Observer closes with John Foster's news of the resurrection of a Chicago street photographer from the 1950s, Leon Lewandowsky. Next week, we will launch a new weekly column from Rick Poynor, feature a review of an exhibition at NYU about legendary New York bookstore Printed Matter, and publish a new piece by Timothy Young. But the main point of this weekly endcap will be to see what's happening off-site: items we didn't tweet, news pieces that caught our eye, exhibitions, new books and films, and links to smart magazine pieces will round out the weeks ahead. The Lewandowsky piece we published today coincided with my reading this David Gilbert essay on the New Yorker's Page Turner blog. Lest we take for granted the stream of secret photographers gaining posthumous fame, Gilbert's meditation on art, death, and his youth in New York City reveals both the clarity and disappointments when a writer develops a long-buried roll of film. The Cooper Hewitt bot has been a four-times-a-day dose of sidewalls, textiles, code, and other objects both quotidian and extraordinary from the newly restored, remodeled, and renamed museum. It's probably my favorite Twitter follow of the last couple of months. The Robert Altman retrospective at MoMA ends on January 17 and if you're in the New York area you still have time to see Nashville, M*A*S*H, or some of Altman's hard-to-see television work from the '80s. Also screening is a new documentary on the director and a short film from 1971 by Marianne Dolan about Altman's ambitious yet notoriously complex film McCabe and Mrs. Miller. The California Sunday Magazine launched in late 2014 under the unusual model of being inserted monthly into three major California Sunday papers; non-Californians can buy a print or electronic subscription. Such limitation might suggest that their journalistic efforts are hamstrung, but only three issues in they have published expansive stories on the harvest in Humboldt County, virtual reality and Hollywood, and the US-Mexico border (a new photo series from Richard Misrach). Also donuts and immigration. Notable is their effort to start publishing select stories in Spanish. Last year I had the pleasure of working with interaction designers Potion on an iPad app for the Richard Avedon Foundation. When I first met them, Potion had just launched an app version of Josef Albers' groundbreaking book of color theory, Interaction of Color. In the January Atlantic Monthly, art critic Sebastian Smee writes about the book, the app, chromophobia, and Albers' antidote. Also in the Atlantic, Jeffrey Goldberg has a moving personal piece about the conflict facing journalists in times and places of crisis. 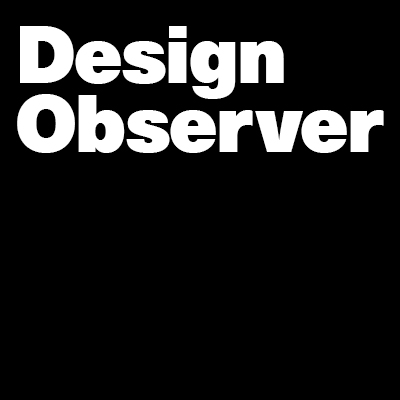 Eugenia, I know that all the writers and contributors at Design Observer are so grateful for what you do as editor. I know that I am. Happy to see you working with us!